There was no Turckheim produced in 2008, so this Gewurztraminer is mostly made from the gravely Herrenweg vineyard and we added a few grapes from other calcareous vineyards to complete the cask, just as we did for the Pinot Gris. 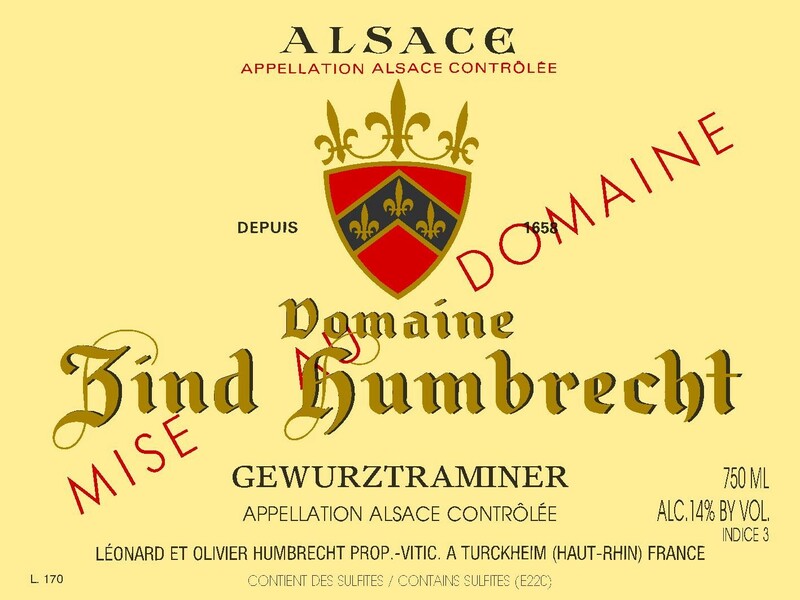 Gewurztraminer enjoyed perfect ripening conditions in 2008: cool summer with enough water, progressively warmer September and October and dry late season. The grapes were harvested very ripe, with a little sparkle of noble rot and superb acidity levels. I thought we had reached heights in 2007, but the 2008s are even higher! All Gewurztraminer fermented quite quickly, keeping quite a lot of sweetness that was often necessary to balance the power and acidity of the wines. This is potentially our best varietal Gewurztraminer ever made. 2/2010: intense litchi, rose and herb spices! This is classic Gewurztraminer. The nose is not yet showing everything and it should increase its aromatic power in the next few years. The palate feels at first elegant, almost delicate because the acidity is there to give a strict structure. Some time on the palate and the wine will eventually reveal its richness and power.